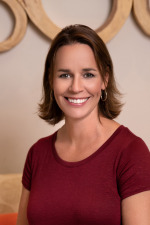 Teresa A. Andrews is an ASHA certified Speech-Language Pathologist with 20 years of experience in a variety of areas in her field. She obtained her Bachelor’s degree from the University of Northern Iowa in 1995 and her Master’s degree from the University of Nebraska-Lincoln in 1997. Since that time she has worked in a wide range of settings including early intervention, private practice, rehabilitation units, and university clinics. She has consulted across the country on the implementation of Augmentative/Alternative Communication (AAC) in schools, clinics and homes. Teresa specializes in AAC, early intervention, autism, and apraxia. She has experience with children with complex communication needs and has been a member of several transdisciplinary teams to best meet these needs. Teresa works closely with families and professionals to train and support the implementation of AAC in home and school environments. Currently, Teresa is working in early intervention and private practice with students with a range of needs including AAC and autism. She has been presenting on LAMP for many years and enjoys sharing, presenting and educating others about AAC.